Since our last run was in 2010 we will leave the web site in a "frozen" state as a permanent record for all the past participants. We hope to continue funding the scholarships and will be posting scholarship recipients. Click on "Past Run Results" below for results of all past runs. You can check out each year's scholarship recipients here. This web site was started in 1995 and went through several tranformations from server to server. We know this was the first run web site in the Houston area and perhaps the first in the world. It has a complete record of results over it's 19 year tenure. With mixed feelings, we have decided to make this the final Summer Kick-Off Fun Run. 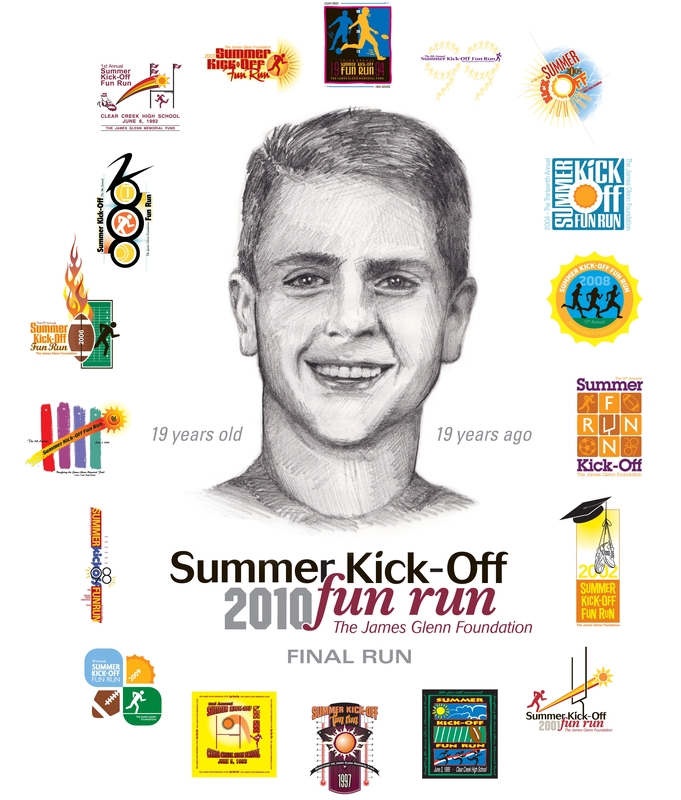 Our theme for this year's run is "James Glenn - 19 years old, 19 years ago". We thank all those who have helped with and participated in the run over the years. It has given us a lot of great memories and hope it has been rewarding to you as well. The Summer Kick-Off Run can be reached by contacting Stephen Glenn at (281) 482-0982, FAX (281) 482-6153.